Hybrid Clouds are Transforming Financial Services: Are You Ready? The Financial Services industry has long understood that IT is more than just a utility that supports their business. Rather, the most forward-thinking financial institutions and FinTech start-ups recognize that when IT resources are strategically applied, IT has the power to fundamentally transform the business. Whether it’s compute, network or object-based storage, financial service IT leaders are under increasing pressure to invest in technologies that drive innovation. And few areas hold as much potential for disruption as hybrid cloud computing. Hybrid clouds are defined as a cloud computing environment that utilizes a mixture of on-premise private cloud and third-party public cloud services. While other industries have made public and hybrid cloud computing initiatives investment priorities, financial service firms have approached these clouds with no small amount of caution. Chief among these concerns of course is data security and maintaining compliance with a variety of evolving regulatory requirements. However, as public cloud platforms like AWS, Google and Azure continue to mature, business and application owners seeking opportunities to exploit new market opportunities are now the ones driving these cloud initiatives. 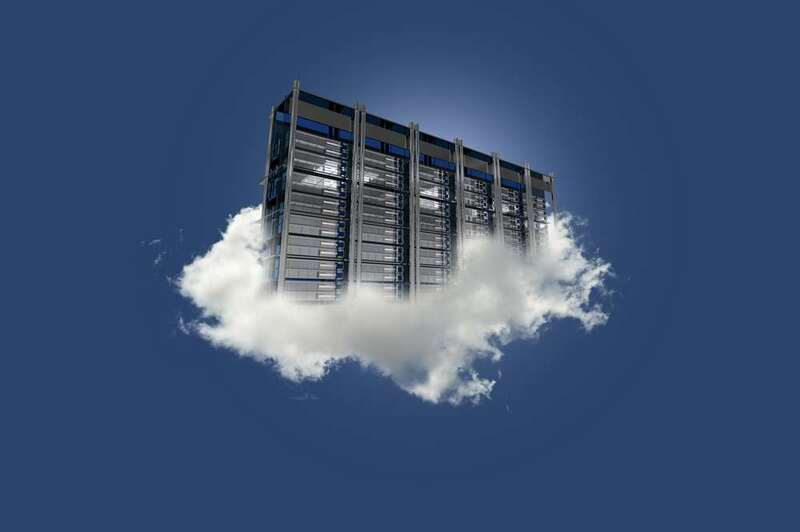 A recent Gartner survey of senior finance executives found that by 2020, 36 percent of enterprises will use the cloud to support more than half of their transactional systems of record while 451 Research estimates that 60% of all workloads will run in the cloud this year. Consequently, breaking down the silos between IT and the line of business owners has become all the more critical. As an increasing number of firms push to put newer solutions and greater control in the hands of the end user via public cloud services, they must do so in partnership with IT or risk running afoul of security and data governance requirements. Conversely, IT must be responsive to the demands of the business owners or risk losing further control to ‘Shadow IT’ projects. Financial services CIOs are also under increasing pressure to reduce CapEx spending and shift their budgets to business transformation initiatives that enable the organization as a whole to be more agile (according to EY’s 2018 Global Banking Outlook, 85% of banks cite implementation of digital transformation as a key business priority for 2018. With these objectives in mind, IT and the business both recognize the promise of hybrid cloud. But what does the roadmap to get there look like and what questions should be considered when embarking on this journey? As mentioned, financial services have unique requirements when it comes to leveraging public cloud resources. While many firms have invested heavily in their private cloud infrastructure over the past decade, they’ve been more selective about how and where they use public cloud platforms. The two primary areas where many have chosen to prioritize have been in compute and storage. Compute represents the lowest hanging fruit for many organizations as platforms like AWS, Google Cloud and Azure have made it relatively simple and cost-effective to spin up a new cloud instance as demand spikes without having to overinvest in capacity. However, because it’s become so easy for application owners to leverage compute resources on-demand, IT is often overlooked and established security protocols are disregarded. That said, it remains a strong proof point that demonstrates how these types of hybrid cloud resources are no longer limited to the back office but are starting to be applied both with greater frequency and urgency across business units. Storage represents another key opportunity — and challenge — for financial service firms in their quest for greater operational efficiency. These firms generate massive amounts of data which they not only have to keep secure but also must make readily available for analysts, portfolio managers, and software developers to perform real-time analysis and keep their models up to date. However, not all data is created equal which creates an added layer of complexity. Some data such as end-of-day records and trading statements must be retained for a period of years and doesn’t need to be accessed on a regular basis. Meanwhile other data types such as reports generated by proprietary trading applications needs to be retrieved frequently as users and regulators require it. Public cloud providers also charge egress fees to customers which are incurred every time data is transferred from the provider back to the customer – these fees are not only costly but the sheer volume of data being stored in these public repositories makes retrieving it untenable. Instead, many of these firms are opting for using dedicated storage devices for data that require frequent access and only using public cloud storage for archival data that is rarely needed. In both of these use cases, one common thread is that organizations require a mature technology infrastructure that ensures persistent bandwidth availability and robust application performance. As financial service firms begin to increasingly rely on a mix of public and private cloud environments, partnering with the right fiber infrastructure vendors who can provide assurances of performance and availability represents a critical success factor. How does your firm connect to the Cloud? How much of the network footprint does your company own and operate? How do you ensure route diversity in the event of a network failure? How do you segregate workloads according to different cloud environments? What security certifications do your data centers hold and what levels of technical support do you offer? How many public cloud providers do you connect to and what type of APIs do you make available to customers to facilitate integration? Hybrid clouds are not just transforming the way IT services are delivered but offer a unique opportunity for IT to partner with the business to maximize operational efficiency and drive new innovations to market. The financial service firms that make this investment a priority now will be poised to reap the benefits of a highly agile IT organization that can quickly respond to changing market conditions. 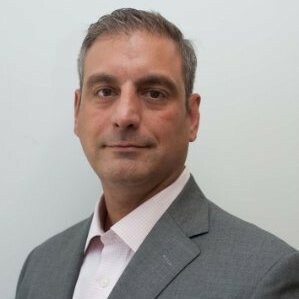 Anthony Gerace is the VP, Head of Financial & Professional Services for Zayo, a global provider of communication infrastructure services.